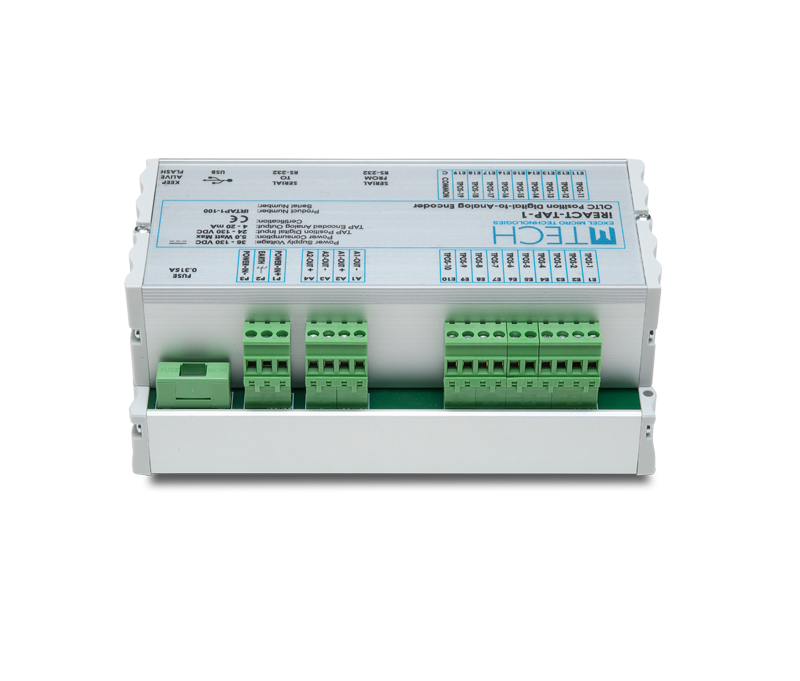 The iReact-TAP-1 unit is a smart sensor, providing position information of the substation’s transformer On-Load Tap Changer (OLTC). 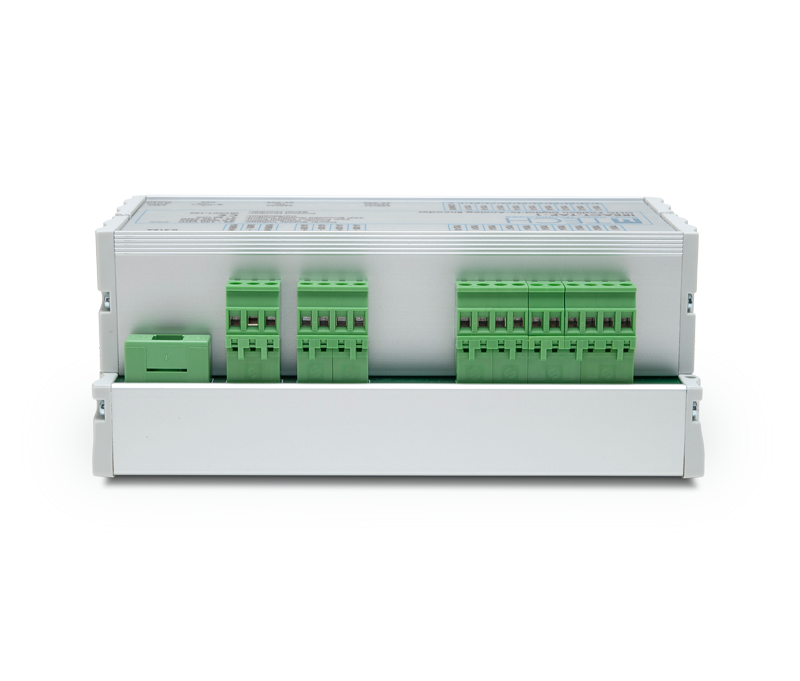 It is suitable for direct interconnection with the iReact solution automation controllers.  The iReact-TAP-1 provides 19, optical-isolated, digital inputs of the OLTC position. 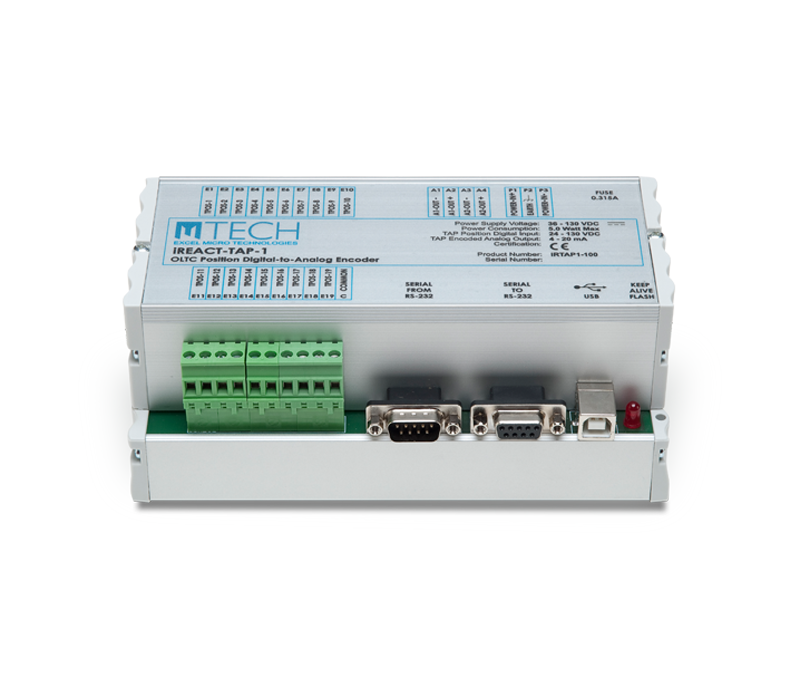 The microcontroller encodes and converts the active position input to two analog outputs 4…20mA. The sensor is able to digitally configure and independently calibrate the two analog outputs, using a host computer interfaced via USB. 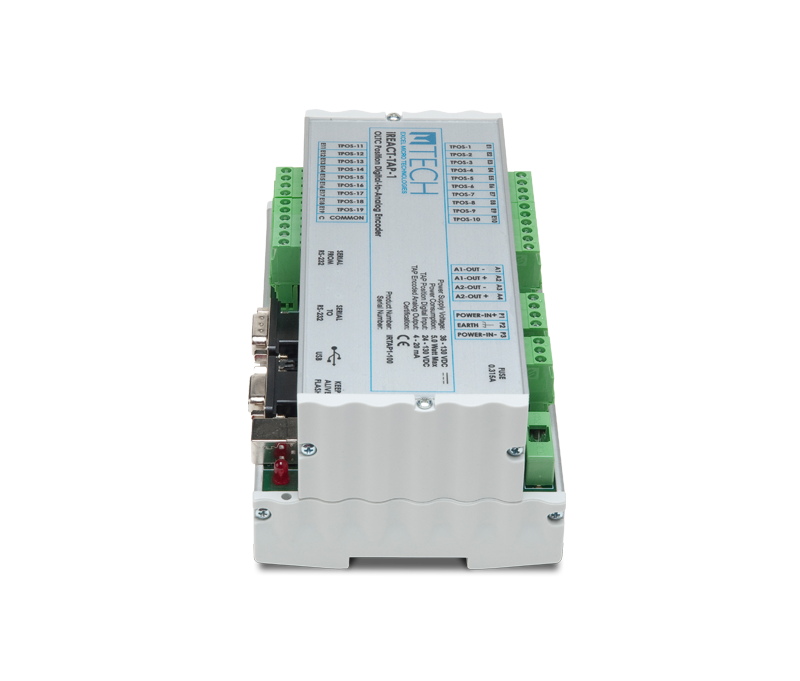 The iReact-TAP-1 has built-in power supply, supporting 36-115VDC power input.